Tom O’Connor always envisioned being a professional athlete while growing up, just not a professional Mixed Martial Artist. While growing up in Fort Macleod in Alberta, Canada, Hockey and Rugby were the two sports of choice for the current XFFC featherweight champion. And so was partying with his High School buddies, who pulled pranks, took dares and accepted crazy challenges like the classic MTV show Jackass. O’Connor, 26, earned his nickname “Big Nasty” for doing the grossest things among his group of friends. Example: They all took part in the Gallon Challenge, which requires you to drink a gallon of milk inside of an hour without vomiting. Of course, no one succeeded, but here’s the kicker: They all threw up in the same bucket, which was then dumped on O’Connor for a five-dollar reward. Think Johnny Knoxville would have been proud? After High School, O’Connor continued on with his partying ways while attending the University of Lethbridge, but his life lacked direction and his attendance was not good. Once he realized college life was not for him, he withdrew from school and went to work for his father’s company, Westco Construction, who specialized in building large industrial steel buildings. At this point, the Fort Macleod native was 21 years old and still lacking focus. But then his life changed forever thanks to his good friend Tom Harris, who introduced him to Muay Thai. Before too long, O’Connor and Harris were sparring in Harris’ backyard three days a week and “Big Nasty” was falling in love with learning the “Art of Eight Limbs”. Aside from the sparring, Harris also turned O’Connor on to watching the UFC and classic Pride fight cards as well. Six months later, O’Connor signed up for a Kickboxing class at Progressive Fighting Academy in Lethbridge, Alberta, and the rest, as the saying goes, is history. He instantly became obsessed with training, and his life suddenly shifted into focus. He was working 12-hour days at Westco Construction (and later jobs as a janitor and recreational therapist at a retirement home) and after work he would head straight to the gym. O’Connor, who now balances out his days as a strength and conditioning coach for youth Hockey teams, as well as teaching private lessons in Jiu-Jitsu, was simply tapping into the work ethic instilled in him from his father and other family members, who he says all share a very similar mentality about life: make sure you have worked hard to earn your day. That is exactly what he did. MMA became the catalyst for positive change. He now had purpose in his life. Three months later, he stepped into the cage for his first amateur MMA fight. 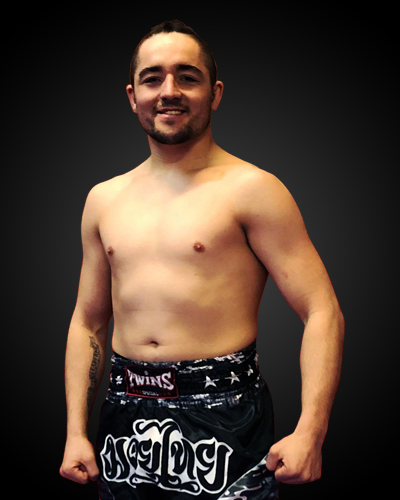 Under the tutelage of Brad Wall and Trevor Hardy at Progressive Fighting Academy, O’Connor went 5-0 as an amateur before making his professional debut at XFFC in October 2014, losing by submission to Ryan Rohovich via guillotine submission. Since that day, he has won eight straight fights en route to winning the XFFC featherweight title after knocking out Chris Day at XFFC 18 in July 2018. 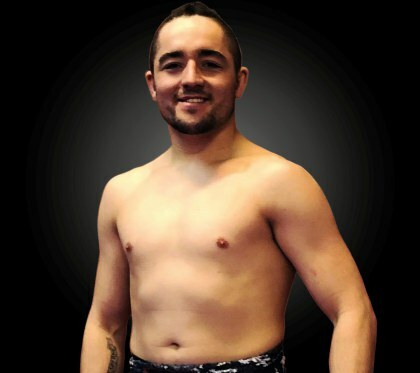 O’Connor, who names former UFC featherweight champion Jose Aldo, former UFC flyweight champion Demetrius Johnson and Wanderlei Silva as his three main influences, has set his sights on facing the best of the best in the world of MMA so he will be recognized among them. To him, being a martial artist and competing in MMA is not a career, but a lifestyle. So he’s also intent on using his platform to help and teach others, because the world of martial arts saved him in a way and he wishes to give back.